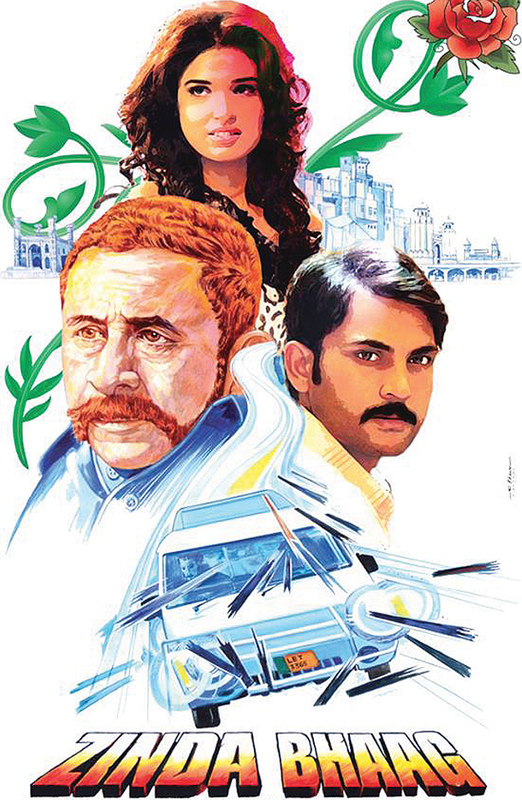 The much-awaited Pakistani feature film Zinda Bhaag, which features veteran actor Naseeruddin Shah and model Amna Ilyas, is set to release on Defence Day (September 6), this year. The first teaser video for its song Paani Da Bulbala was also released last week. The song, which has been sung by Punjabi pop star Abrarul Haq, was released on Vimeo and is available for download through various websites including Spotify, iTunes, Google Play, Rhapsody and AmazonMP3. Unlike the usual upbeat Punjabi songs characterised by loud ‘dhol’ tunes and fast-paced bhangra moves, Paani Da Bulbala has a jazzy feel to it and seems to add a sarcastic, comic touch to the storyline. The music for the song is given by Sahir Ali Bagga and ironically, the lyrics are by Yaqub Atif Bulbula. Zinda Bhaag will release in both multiplexes as well as single screens in Karachi, Lahore, Multan, Faisalabad, Gujranwala and Rawalpindi.